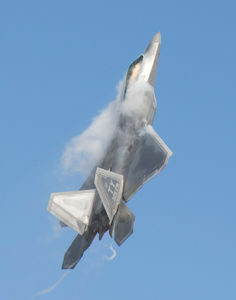 Jaw-Dropping F-22 Raptor Demo at Niagara! 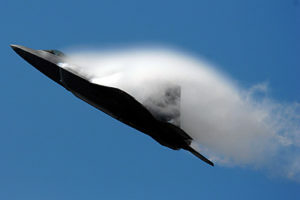 Home > Jaw-Dropping F-22 Raptor Demo at Niagara! You might be asking … a Jaw-Dropping Flip-Flopping “Tennis Court”?!?! These are not my words, but those of an elite test pilot for the F-22 Raptor program. This fifth-generation U.S. Air Force fighter plane is the size of a tennis court and maneuvers in a way that will leave you slack-jawed! 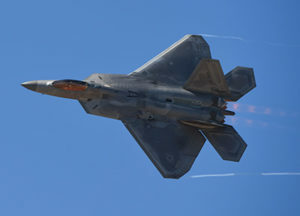 It has often been said, “something that big shouldn’t be able to do that!” During the Raptor’s demonstration, you will be able to watch the F-22 literally flip over, during it’s “Power Loop” at speeds and with maneuvers that would cause other fighter aircraft to fall out of the sky. 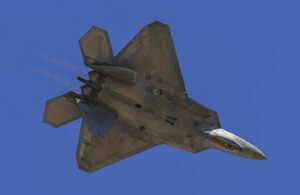 Niagara is very fortunate to have the F-22 Raptor demonstration. 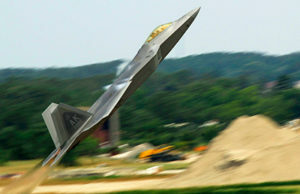 Rarely does the Air Force send the Thunderbirds and F-22 Demo to a single air show. Add in the Canadian Forces Snowbirds 9-ship jet demonstration and you’ve “Struck Gold!” This is something truly unique and an event that you and your family don’t want to miss. 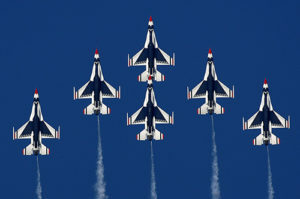 We’re expecting some VERY GOOD NEWS from the USAF Thunderbirds next week! Please keep an eye on your inbox! Save the Day & Time! Next Thursday, May 17th at Noon Eastern, is the massive Niagara VIP Ticket Launch. A special email and full details will be emailed to you. Buy during the Insider launch and SAVE up to 50% OFF VIP tickets. VIP Tickets sold out in 2015, and with an extraordinary air show on deck, we anticipate tickets to sell very quickly! NEW Niagara Web Site – Monday, May 14th!